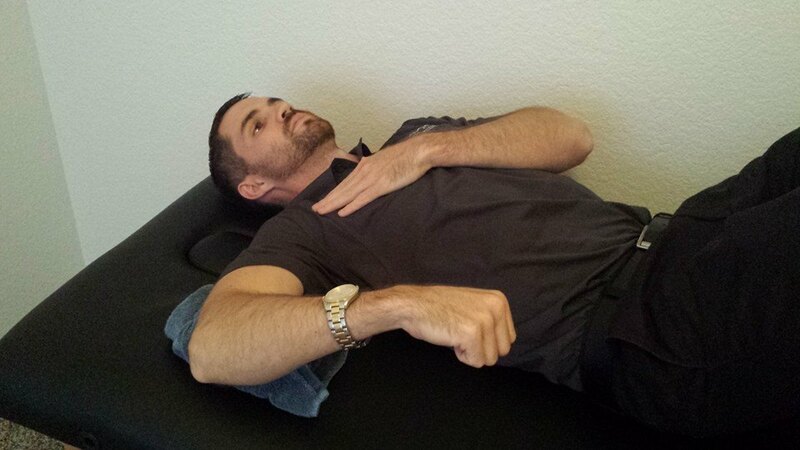 Directions: While lying down, place your arm out to the side at about 90 degrees (unless indicated by your therapist) and place a towel under your upper arm so that your upper arm is parallel with the table. Slowly lower your forearm as far as you can before your shoulder begins to come off the table. 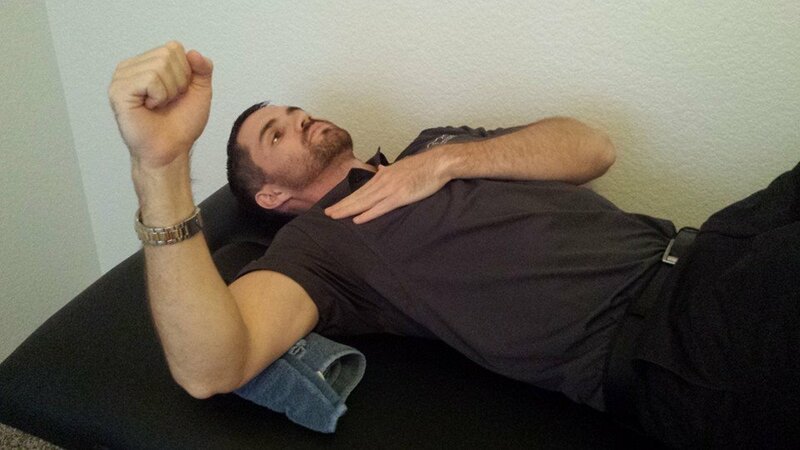 If you have difficulty maintaining this shoulder position, slightly retract your shoulder while performing the exercise. This exercise should be performed in a pain-free range.